Kazimierz Kelles-Krauz was an extraordinary figure on the Polish political scene at the turn of the 20th century. A Marxist and patriot, academic and politician, Kelles-Krauz was most known for his efforts to reconcile the needs of the nation with international socialism. This volume, however, offers a selection of his writings centered on the history of ideas, published for the first time in English. 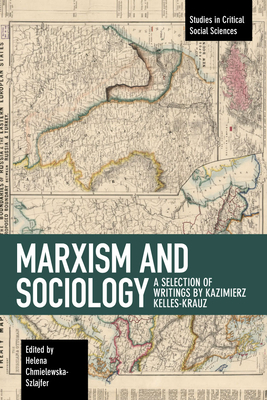 Kelles-Krauz's works, while Marxist at heart, linked ideas stemming from the concepts of German idealists, French positivists, as well as contemporary sociologists who offered a bridge between research on individuals and the workings of social systems. Kelles-Krauz, however, repeatedly transcended Marxist tenets, focusing on the construction of traditions, social norms, and the social role of art. This edited volume was first published in Polish as Kazimierz Kelles-Krauz: Marksizm a socjologia. Wyb r pism by Wydawnictwa Uniwersytetu Warszawskiego in 2014. This current work has been revised and translated into English.